Here at itas, we are proud to be an official Sage Live Partner (now known as Sage Financials). Sage Live, a product which is built on the Salesforce platform is the future of accounting solutions. The system champions three main powerful features, Automation, Collaboration, and Analysis. Sage Live frees up valuable staff time and encourages collaboration across the organisation. This means that small and medium businesses have access to real-time data. Whether that be on their mobile phone, tablet or desktop. A simple, scalable accounting solution. Sage Live gives you the freedom to do what you do best – our vision for our customers as a Platinum Sage Live Partner. Sage Live gives you access to real-time scoreboards and KPI tracking. Therefore giving you the ability to manage your business proactively. 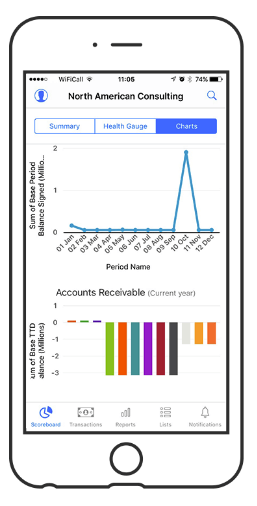 Tracking your financial and CRM data all in one place. The Dimension and Tag system of Sage Live means that you are no longer limited to reporting through the traditional three-tier nominal. Instead, you are able to follow and analyse spends against just about anything you like. And as if that wasn’t enough, you can access that data from anywhere. As long as you have an internet connection and a browser, you are able to see an overview of your business in just a few clicks. And for those of you on the go, you can download the Sage Live app to your Apple iPhone, iPad or even iWatch and stay connected. Sage Live is just the tip of the iceberg when it comes to the revolution facing today’s accounting world. In any organisation, your people are your most valuable asset. Sage Live allows you to maximise the potential of this asset by aiming to automate the non-value added processes within the business. 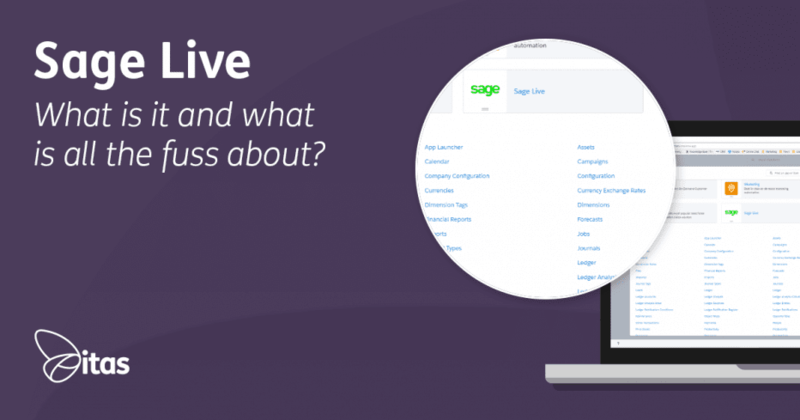 With automatic feeds, reporting, and transactions to name a few, it is easy to see how Sage Live can streamline your business. Built on the Salesforce1 platform, the system has 1000’s of potential app’s to bolt on to the system as well as the brilliant integration with Salesforce CRM. Moving everything to the cloud takes away the restraints and allows your business to become more dynamic. Another perk of the Salesforce Platform is the Chatter feature. Chatter is effectively an internal social network again integrated with your Financial and CRM system. Chatter allows you to not only communicate with colleagues from wherever you are. But also alerts you to approvals or transactions posted as and when you like. Imagine, you are out on a customers site and you enter their purchase order into the system. A few moments later, your manager receives a chatter alert to let her know that approval is needed. And a few taps later, the order is approved and you are away. Sage Live streamlines your process, removes unnecessary tasks and provides you with real-time analysis of your business. For more information, or to find out how your business could benefit get in touch with a Sage Live Partner!